The attached council official's email tells how Hammersmith and Fulham’s elderly, sick and disabled residents are "at risk" after H&F Conservatives introduced a brand new £12.40 hourly care charge earlier this year. It seems that, in these tough economic times, many users of the service have decided to cancel it rather than pay the extortionate new stealth tax. 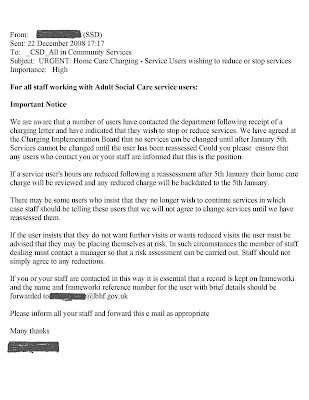 The email was sent three days before Christmas by a senior Social Services manager. It tells H&F Council staff that a number of residents, currently in receipt of essential care, have decided to go without after receiving a letter from the Council demanding payment. The dilemma for Social Services is that they can’t just stop providing care to someone who may be extremely ill or in need. The consequences could be terrible. Because of this, staff have been told that services “cannot be changed until the user has been reassessed”. The email goes on to say that “the user must be advised that they may be placing themselves at risk” if the service is cancelled. You can read the email in full by clicking onto the attached picture. The Council's email is an indictment of H&F Conservative’s harsh new policies towards caring for the elderly sick, and disabled. Prior to the 2006 elections care charges were included in the Council Tax payment. At that time, the Conservatives actually wrote into their pre-election manifesto that they definitely would not introduce any charges for care services. Then, within months of winning that election, they went back on their pledge and started consulting on bringing in the £12.40 hourly fee - much to the disbelief of local groups and residents. Now, along with many other new fees and cost, residents are being charged separately for these vital care service. Hammersmith and Fulham is one of the boroughs with the smallest populations and geographical areas to appear on the list, so proportionally H&F is easily amongst the top spending local authorities in the country. Cllr. Mike Cartwright (Lab), H&F Council’s Vice Chair of the Audit Committee, added “What is sad is that the £836,000.00 is only part of the total spend as the Council has concealed large aspects of its PR budget by allocating it differently. I think there needs to be a full independent inquiry into this highly dubious use of public money. Earlier this month, we again saw how the Council spent residents’ cash to scaremonger and spread disinformation. This can’t be right. This all comes at a time when there are 578 new Tory Stealth Taxes with parking up 12.5%, Meals on Wheels up 40% and the elderly sick and disabled now given a brand new £12.40 hourly charge for their care services. Residents deserve better”. 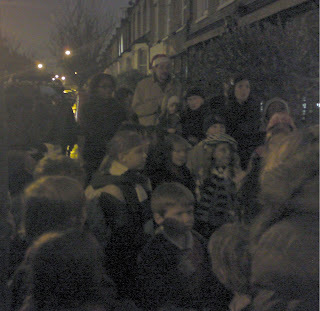 There were about three hundred people crowding around the shops at the bottom of Brackenbury Road yesterday evening. 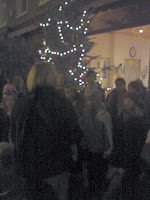 It’s nearly Christmas, the tree was lit up brightly and children from Brackenbury Primary School and Godolphin and Latimer School were singing Carols. 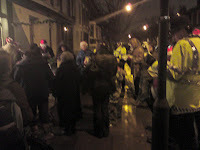 Buchanan’s Organic Deli, Stenton Butchers, and Gina’s Cakes all provided hot mince pies, and other assorted refreshments. The Hepsibah Gallery opened its doors as did SISI Hardware & DIY, and the local newsagents . Shoots and Leaves provided the tree, Horton and Garton Estate Agents provided support and the local ward police team were there to help out and do a bit of singing. Santa even arrived and handed out free goody bags to the children. It was all good fun and very festive. The finalé of the evening was when those of us remaining had sheets of lyrics stuffed into our gloved hands and urged to join the carol singing. We did – although I’m pretty sure the looks I was getting after I started to sing weren’t admiring ones. It was a great evening and I, for one, would like to thank the Brackenbury Residents' Association and those involved for arranging and supporting it. Just before the last local elections a prominent member of staff told me that they didn’t think there would be any difference between a Conservative Administration and Labour when it came to H&F Council’s employees’ terms and conditions. They couldn’t have been more wrong. 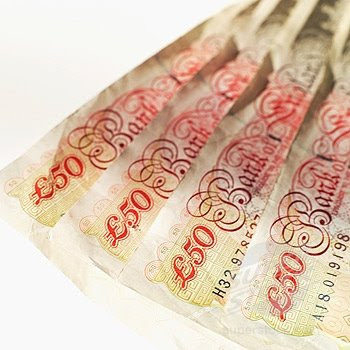 Since the local elections H&F Conservatives has sought to cut some front line staff wages by up to 50 per cent - while giving themselves 18 per cent and 14 per cent salary rises in the respective last two years. The Council has dogmatically transferred jobs to private contractors, despite it being proven not to be best value in street cleaning, refuse collection and many other essential services. Now this October, H&F Council has issued redundancy notices to 4,283 staff with a view to re-employing them on very different terms and conditions. H&F Council is now set to cut maternity pay, it hopes to cut dependency leave and is extending working hours to 7.30am - 8.00pm. Staff rightly feel let down. Many of these new initiatives will most harshly affect women. One noticeable consequence to all this has been that morale has dropped and service levels (that have already been cut financially) will now undoubtedly be affected even further. I have always believed that it is an employer’s responsibility to pay people fairly and manage them professionally. The new deal being offered by H&F Conservatives means that, at the very least, the Council is set to badly fail the first of these criteria. When logging onto their PCs, employees of H&F Council are usually encouraged to answer a rather bizarre weekly survey by the Council’s Press Office. Previous questions have asked council staff about their favourite actor to play James Bond, what they think of the weather and other such fluff. For example, this week’s Council staff survey asks, “Have you been tempted by the pre-Christmas sales?" It then gives borough employees the option of answering “Yes – I like a bargain I do” or “No - not on your Nellie, I’m waiting for the January sales”. I think it’s a waste of public money to pay someone to think this stuff up and then arrange it into a questionnaire. However last week, for the first time I can recall, I was interested in the answer. 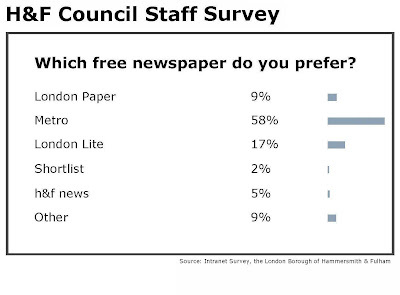 The Press Office asked employees which free newspaper they prefer to read and included their own spin-sheet in the mix of answers. As you can see from the attached graph, taken from the Council intranet, their paper scored a lowly 5% of responses - which was around 40 employees (many of them, I suspect, working in the Press Office). It's apparent that the overwhelming majority prefer not to read the council tax-payer funded paper. That’s probably because they know, more than most, how quite a lot of it is full of misleading scaremongering and distorting propaganda. “We need to consider the needs of the developer to generate a satisfactory profit on this scheme…” Surprisingly, these words were spoken by a H&F Council official who last Tuesday night was advising councillors on the Planning Committee to grant permission to Linden London for their multi-million pound Glenthorne Road project in Hammersmith. You can view the official planning application by clicking here and going to page 128. My colleagues and I argued that the scheme needed to be postponed by at least a month. We suggested that the Council would lose any leverage to negotiate once permission was given. 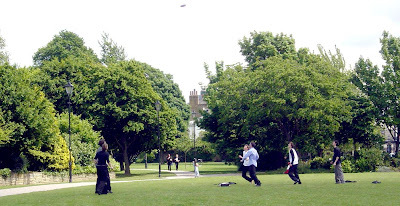 Not only was there, unusually, a complete lack of clarity on the Section 106 sum which the developer is meant to pay to benefit local residents but, the Council report recommended that the councillors back the property developer's request to radically cut the numbers of affordable homes available for residents to buy or rent. If agreed the amount of affordable housing would be cut from the London minimum of 50% to 21%. Some of my constituents were attending from the Cambridge Grove and Leamore Street Residents Association. On the 17th September, they had also been to the Full Council Meeting to ask if the Council would use the Section 106 monies from this scheme to remedy the long-standing traffic problems in their area and fix the badly deteriorating railings that date back to 1856. At the time Cllr. Stephen Greenhalgh (Con) the Leader of H&F Council, told them “We certainly will make sure that it’s one of our priority projects to sort out.” As these were the only monies identified by the Council, since the Conservatives' £1,633,000.00 cut to the highways budget, residents had become hopeful that many of their problems would be addressed with this new sum. I reminded the committee of Cllr. Greenhalgh’s commitment and handed out the attached photo of the everyday traffic problems residents have to put up with. I suggested that one point that we could all agree on, despite party political differences, was that we were there to represent local residents and not property developers. The Conservative members of the panel looked uncomfortable. It seems that they didn’t agree. The Chair called for a vote. It split down party lines with the seven Conservatives on the committee voting to grant permission to the property developer without further negotiation and the two Labour members voting against. My constituents said they were astonished. I thought the Conservatives had made a mistake as last October, my fellow ward Councillors and I worked with residents to force H&F Council to negotiate an extra quarter of a million pounds in Section 106 money from the developer of the Hammersmith Grove Armadillo - just three days prior to the planning meeting. The Council could have used a similar strategy with Linden London. Instead, on page 148 of the report, they simply wrote that “Approximately £100k for highway/environmental improvement works (subject to detailed surveys and estimates for the various works) to improve the sites vehicular and pedestrian accessibility, including crossovers and reinstatement of the footway in vicinity of the site in accordance with the Councils street smart guidance and a contribution to the repair/renewal of the railings in Cambridge Grove”. The officials were unable to explain why there wasn’t an exact sum in the report concerning the Section 106 agreement, what problems would be addressed or what the eventual contribution would be. The Tories clearly didn't care, despite this all being quite unusual. I’m not sure what Cllr. Greenhalgh’s role has been in this situation. It appears that the Leader of the Council either has little influence on his own officials, that he couldn't be bothered to follow up on his promise or he didn’t mean what he said to residents on September 17th. Either way, the local people who attended weren’t impressed. A classic case of “putting property developers, not residents, first” one later told me. 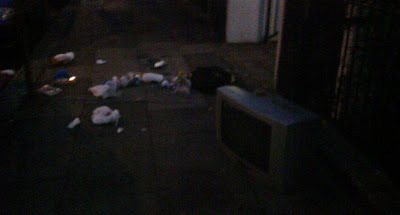 Here’s some photos sent to me by a resident in Richford Street, Hammersmith. 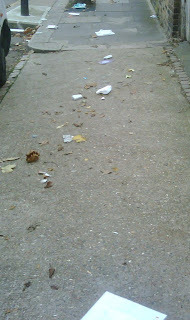 As you can see the cleanliness of the streets leaves a lot to be desired. I wholeheartedly agree with my constituent who tells me that “people are paying a lot in taxes to pay to clean up after others - money which could be invested in essential services. It seems to me that at least a fixed percentage of the cost of cleaning up our streets should be met from fines issued on people dumping fridges etc on the street, dropping litter and gum and allowing dogs to foul the pavement. If this approach were taken more money would be available for essential services and the streets would become cleaner (because a real threat of a fine would begin to change attitudes)”. Those readers that have already received our latest newsletter through your door will see that we’re still campaigning to make the Conservative Administration reverse their cuts and to fully take up this approach. I’ll let you know how we get on but meanwhile, please feel free to email me pictures of how your street looks by clicking here, and I will put them to good effect as part of our campaign. The last Labour administration delivered real-terms cuts in council tax, and kept charges for council services low. Now, H&F Conservatives have increased or introduced a staggering 578 new stealth taxes, with some charges rising by hundreds of percentage points above inflation. Residents’ parking charges have increased by 12.5 per cent, and children’s out-of-hours play service charges have risen by a astonishing 121 per cent. The minimum increase across all council charges is 5 per cent. Many of the stealth taxes hit the most vulnerable local residents, with Meals on Wheels prices rising by an incredible 40 per cent - adding £365 to annual food bills for the elderly. The Tories also went back on an election pledge not to introduce home care charges for the elderly, sick and disabled, telling them that if they don’t pay the brand new £12.40 per hour charge, they won’t receive these crucial services. Included in the new stealth taxes is the controversial new charge for the garden waste disposal service, which now costs £7.25 - even though there didn't seem to be much of a service for those that signed up to it. That and many other of these charges used to be included in residents’ council tax payments. Now, residents have to pay these extra cost on top of their council tax. Will H&F Tories Shut Another Sands End Youth Club? When shutting down the Castle Youth Club last November the Conservatives explained that it didn’t matter as there is always the Townmead Youth Club, a few miles away. Now, it seems that this facility may also be closed down unless the Tory run Council releases £20,000 of funding needed to meet its running cost. Readers will recall that the Castle Youth Club was sold to a property developer for £5million. Maybe the Administration could take the money out of that cash bonanza. Residents of Sands End have been in for a tough time during the last couple of years. 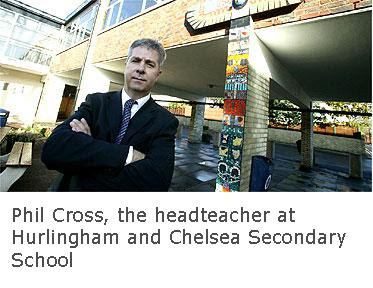 As well as selling off the Castle Youth Club, H&F Conservatives attempted to close Hurlingham and Chelsea Secondary School and successfully shut Peterborough Primary School. They have had to put up with cuts to police, and £36million of further cuts to front-line services. Then, this autumn it was announced that Hurlingham Park will be closed to the public for a large part of the year so that H&F Conservatives can rent it out to their friends in the international polo-set. 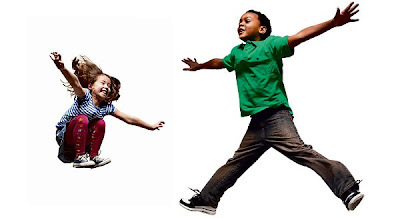 The Townmead Youth Club has been in operation since 1967. I hope local residents are able to make H&F Council see sense and maintain this important local asset. The London Olympics are three and a half years away. Children and young people across the country are being urged to take part and get involved in sport, and politicians are being called upon to take a fresh look at local facilities so that our young have a productive use for their energies. So, what is the answer here in Hammersmith and Fulham? Well, as far as H&F Council’s Conservative Administration are concerned it’s er… polo. That’s right, it’s polo… and it's not for H&F's residents or indeed our young either. Instead, Hurlingham Park in Fulham has been given over to World Polo Ltd who intend to put on the traditional sport of the super-rich as an exclusive spectator event. Fences have already been erected around the public park and the mechanical diggers have gone in. Grounds that once saw schools’ sports days, families relaxing at weekends and kids playing ball games during balmy summer evenings will next year be the select reserve of the champagne-swilling international jet-set. The scheme is the brain child of Cllr. Paul Bristow (Con) who gained notoriety this time last year when he proposed to rent out Ravenscourt Park and Furnival Gardens for such events as wrestling, film showings and raves. Opposition Labour councillors worked with local residents to restrict those activities but the people of Sands End, Fulham haven’t been so lucky. Their local Tory Councillors have supported this ruse and in doing so have denied them access to one of the few green spaces in in their area. You can click here to view the BBC News coverage of this story. My fellow ward councillors, and I met with Thames Water recently to question them about the ‘Super Sewer’. Prior to that though, H&F Council’s Conservative Administration had done its best to stop the Opposition from getting a direct and independent briefing from the company itself – as you can see by clicking onto the attached email to an officer in the Opposition office. It’s worth asking what could possibly be the reason that H&F’s Conservatives wanted to manage the information that Opposition councillors had access to? Well, it seems H&F Council’s propaganda machine and the local Tories have indulged in a considerable amount of scaremongering. For example, Ravenscourt Park fails most of the criteria for the much talked about bore hole or indeed any ‘Super Sewer’ works whatsoever but the Tories, who will have known this, still set that story running causing concern to many local residents. when we asked H&F Council officials what the ‘Super Sewer’ story had been based on we were told that it had been "speculation"
I believe most local residents would expect politicians of all parties to unite to fight against any plans to dig up any of Hammersmith and Fulham’s local parks. But, given the above points and the tone of H&F Council’s propaganda on this it looks like our local Conservatives are more interested in using council tax payers’ money to run a closely coordinated and dishonest political campaign off the back of this issue, rather than defending residents’ interests. Prior to the last local elections I led the cross-party negotiating team against Thames Water representing all of London’s thirty three boroughs. We secured millions of pounds from Thames Water to compensate for cuts in water pressure. Our success was because we put party politics to one side and got on with the job of representing Londoners against Thames Water’s commercial interest. That is what should happen in this instance. If you want to attend the public meeting about the 'Super Sewer' then please come along tonight (Monday, 17th November) to Hammersmith Town Hall for 7.00pm. Please feel free to email me here to let me know your views on this issue. I will report more later on this week. The BBC is reporting that H&F Council has failed a competence test and missed out on a multi-million pound refurbishment programme for local primary schools. The Beeb explained that H&F “did not satisfy the DCSF with their building and refurbishment plans and will not receive their allocation of the £1.75bn immediately". H&F Council’s Conservative Administration had already been telling local parents that the money was on its way and so this news will dash local parents hopes. As usual, H&F Council’s press office fails to make any mention of this bad news or the reasons why the Council failed local children and parents by not being up to competency standards. But, you can read the BBC article here. This news comes after two and a half years in which H&F’s Conservative Administration has publicly lost the confidence of local parents and been criticised by its own advisers. The Conservative run council set up a schools commission, chaired by a Tory Peer, as a face-saving exercise after it failed in its bid to close a high performing secondary school and sell off the land. However, the Commission lambasted the Administration setting out its failing and explaining why it had “lost the confidence of head teachers and parents”. 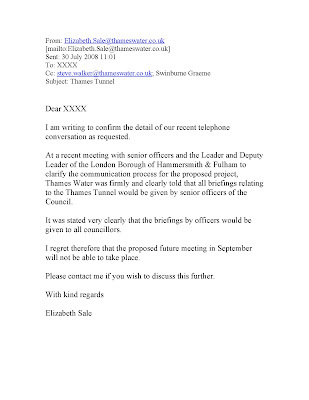 Around that time, it looked like the Conservatives had realised that they were damaging local children’s chances when, on 27th June 2007, Cllr, Stephen Greenhalgh (Con), the Leader of H&F Council admitted that his Administration “had made mistakes”. But, he and his colleagues then carried on with their plans to close more local schools, selling off the land to private establishments and being accused by local parents of undermining their children’s secondary education. 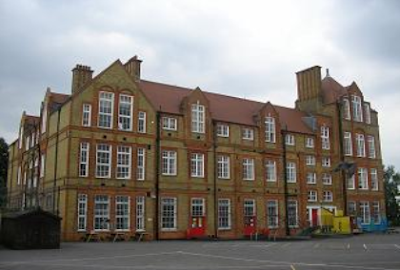 Then, earlier this year a leading head teacher took the unprecedented step of publicly criticising the Administration telling the press that “politics has overridden the value of education” in Hammersmith and Fulham. It will be interesting to see how H&F Council responds to this latest debacle. If the Administration follows its previous form then it will simply use its propaganda machine to deny there is any problem whatsoever. Nobody will be sacked and nobody will resign. I will report more on this as we continue to push the Council to act in the interest of all of the borough's children. Many H&F residents will not know that the bloke in the photo is Mr. Kit Malthouse AM (Con), our recently elected representative in the London Assembly. More will be surprised to find out that he is taking a lead from our very own Conservative Council Leader here in Hammersmith and Fulham and has received an inflation-busting salary hike from the public purse. The Tory Troll is reporting that Mr. Malthouse will now take a £55,000 allowance from the Metropolitan Police Authority. This is a political position that was given to him by Mayor Boris Johnson, who seems happy for him to also be rewarded with a jaw-dropping 44% increase in the renumeration that goes with the role. Mr. Malthouse's MPA pay is on top of his £53,543 joint Deputy Mayor and Assembly Member salary - all of the money coming from our pockets as both roles are completely funded out of our taxes. You can read the full story by clicking here. 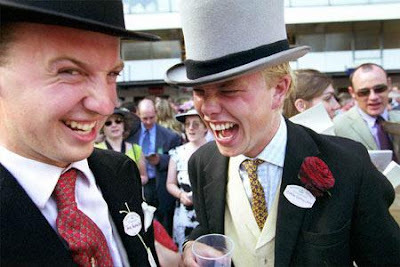 Readers will recall that H&F's Tory councillors gave themselves an 18% salary rise in their very first budget after winning the 2006 local elections. They then made the pages of Private Eye's Rotten Borough's section for giving one of their Conservative councillors the equivalent of a 75% salary rise. Then, the Tory Leader of H&F Council secretly gave himself a 14% salary hike in a rather peculiar and underhand way. I think it's all very odd how the Conservative's plans to use tax payers' money to give themselves salary rises, increased by percentages that most people can only dream about, aren't openly published for all to see in their pre-election literature. It leaves me to wonder if they thought this was all something they had to hide? David Cameron won't have been pleased by the latest broadcast of Channel 4's Dispatches. It examines where he's getting his money from with some worrying conclusions. If you missed it, you can view the episode by clicking here. Across The Pond And, Once More, "It's The Economy, Stupid"
On the 28th October 1980, Ronald Reagan struck a nerve when, during the only presidential debate of that election, he asked Americans: "Are you better off now than you were four years ago?" The US had gone through a recession and so the answer for many was a heartfelt “no”. It helped propel Reagan to victory. Now, after nearly eight years of the Republican's woefully incompetent handling of the US economy, Barack Obama is essentially asking America that same question. The facts speak for themselves: the average, typical American family is actually $2000 worse off than they were eight years earlier; petrol prices have trebled; healthcare charges are up; the banking system is in crisis; homes are being repossessed across the country; the national debt has spiralled; over 5.5million Americans have been driven into poverty; unemployment is at its highest rate in five years and America has experienced the biggest increase in income inequality since the 1920s. The voting public are concerned. Polls show that the economy is, by far, the number one issue for voters in this election with national security coming a distant second. In particular the economy is a worry for target 'blue collar', 'middle class' voters – key in so many swing states. 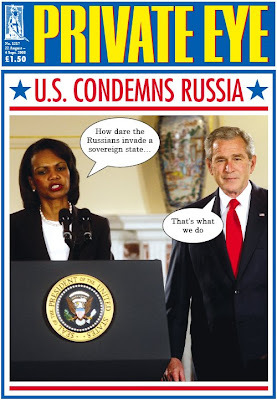 McCain’s economic policies mirror Bush and barely stand up to scrutiny. 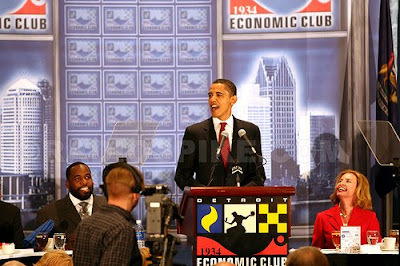 His proposed measures to alleviate the current burdens on American households fall well short of public hopes. For example, McCain promises to double existing child exemption to $7,000 but only a small proportion of Americans would qualify for that scheme. McCain says he will provide a credit to buy health insurance but those workers who already have employer provided health insurance will find the benefits of that scheme offset by a proposed new tax on their employer funded health programme. Barack Obama has gone much further than his Republican rival. The Democrats would prioritise the provision of new jobs – many in the green energy sector and pledge to get the economy back on track. They promise to improve life for “ordinary Americans” committing to a $500 tax cut for the average worker; senior citizens earning less than $50,000 will cease to pay income tax and there will be lower health insurance cost for all Americans - with a subsidy for those who don’t currently have coverage. An Obama Administration will introduce a $4,000 collage tuition subsidy for students who agree to undertake community service; it will provide mortgage interest credit (valued at $500 for home owners who don’t itemise their tax deduction) and introduce a child tax credit (that could save $1,100 for a single parent of two dependant children who earns $40,000 or less). So, can McCain prevail without offering more to those being hurt by America’s current economic woes? For the moment, his campaign thinks it can. McCain’s record as a war hero is being used to make a direct pitch to blue collar swing voters on national security issues and the Republicans are urging the US public to believe that both McCain and Palin are "mavericks" that will “change" Washington. Meanwhile, by claiming Barack Obama is an inexperienced "tax and spend liberal" they hope to scare voters into thinking that he’s not in tune with America’s traditional cultural values – a customary claim Republicans make about Democrats. In fact, this week, in fourteen key states (five of them states that voted Democrat in the 2004 presidential election) the Republicans launched an ad with the slogan “ready to tax, ready to spend, but not ready to lead.”. Following the two conventions, polls show that the race for the White House is currently tied. Yesterday’s Rasmussen daily Presidential Tracking Poll puts Barack Obama and John McCain each on 46% of the vote. When 'leaners' are included, it’s Barack Obama 48% and John McCain 48%. But, the fact remains that McCain cannot shy away from voters’ concerns on the economy; or that his economic platform broadly shadows that of the deeply unpopular Bush Administration; or that he seems out of touch with voters concerns (commenting recently that he thinks the US economy is “fundamentally strong”); or, indeed, that 84% of Americans think their country is "going in the wrong direction" and that, during the last eight years, McCain has voted for Bush to take the US in its current direction over 90% of the time. So, as the sign said in Bill Clinton’s War Room during the 1992 election, “It’s the Economy Stupid”. In this election, it’s the solutions Barack Obama proposes that are set to dominate that issue. Linden London have submitted a planning application for 63-75 Glenthorne Road, W6. 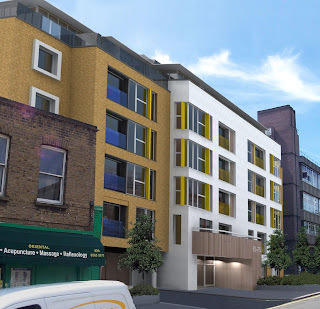 They hope to build 67 one, two and three beds apartments on the central Hammersmith site. The proposals also include provision for fifteen new car parking spaces. 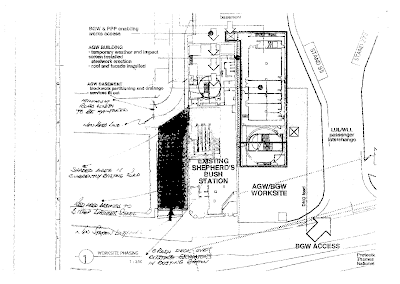 You can click onto the attached revised plans and the Architect's mocked up photos to enlarge them. 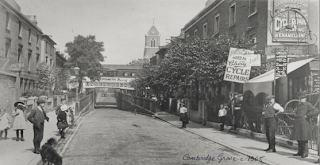 The Cambridge Grove and Leamore Street Residents Association have raised a number of concerns about the proposals and are keen that Linden London develops the site in such a way as to not cause extra traffic or noise nuisance to the already congested area. They’ve been supported by the Brackenbury Residents Association, the Hammersmith Society, and the Hammersmith and Fulham Historic Buildings Group. My fellow ward councillors and I have been working with them on this matter and met with the developer earlier this year to hear of their plans. I will write more when I know what date this application will to go to the Planning Committee. Meanwhile, please let me know your views on this development and email me by clicking here if you would like me to send you a PDF copy of Linden London’s brochure for the site. The Tory Troll is reporting that Boris Johnson will today announce above inflation hikes on bus and tube fares. You can read the full story here. Figures released to the GLA’s Budget and Performance Committee show that the cancellation of the Venezuelan 'oil deal' and the scrapping the higher Congestion Charge has left over a £100million hole in the budget. Boris is hoping to make up the difference by passing the charge onto Londoners. News of these increases are contrary to Boris' pre-election pledge not to raise fares which will come as a blow to commuters across the capital. The Rotten Boroughs section in the current issue of Private Eye (no 1217) has set aside seven paragraphs to expose how H&F’s Conservative Councillors have cut back the affordable housing element of another property scheme. This is not the first time that our local Tory Councillors have appeared in Rotten Boroughs. This time last year Private Eye told how H&F Tories voted themselves an 18% pay hike and gave a fellow Conservative Councillor, on the adoptions panel, the equivalent of a 75% pay rise and all at the same time that they also voted over £30million of "savage cuts" to crime fighting, local schools, the elderly, the disabled, youth facilities, street cleaning, refuse collection, the garden waste scheme and the borough's environmental services. The sad thing about the details uncovered in the current Private Eye story is that there are 9200 local families on the housing waiting list in Hammersmith and Fulham and many more residents looking to get an affordable home to rent or buy. All will be bitterly disappointed at this cut back in available affordable homes. However, with H&F Conservatives halting the affordable housing aspect of all major developments; looking to demolish affordable homes across the borough and flying to the south of France to meet major firms to try and sell off “contentious property developments”; then the Private Eye story is just the thin end of the wedge. What Are H&F Conservatives Plans To Demolish 800 West Ken Homes? 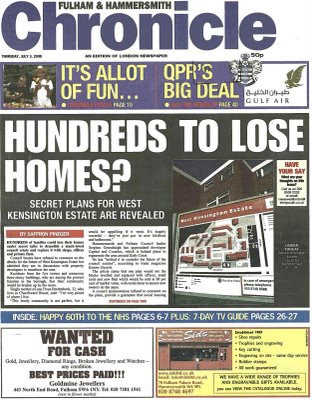 Lisa Nandy (Lab), H&F Council's Shadow Cabinet Member for Housing and Regeneration, is calling on local Conservatives to come clean and tell the public what they're up to after Saffron Pineger of the Fulham & Hammersmith Chronicle scooped a story exposing that the they are in secret negotiations to demolish over 800 homes in West Kensington. The Administration wants to replace them with “hotels, offices and luxury housing”. 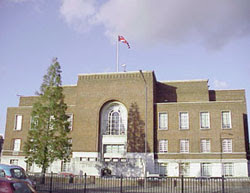 The story has also been picked up in the property magazine Estates Gazette which reported that H&F Council had approached the owners of the Earl’s Court exhibition centre and offered up large areas of West Kensington, including Dieppe Close and Gibbs Green School as part of plans for a massive commercial development of the neighbouring Earls Court area. This move provides an insight to the Conservative Administration’s strategy after a senior Tory Councillor flew to Cannes in the South of France to meet international property developers. The official explanation for his trip to the luxury resort was that he had gone to try to “unlock contentious development sites”. Meanwhile, an official in H&F Council’s Environment Department told me that this is only one of many “contentious development sites” which the H&F Conservatives have identified across the borough. I will report on those as we glean more details. I had a long conversation with a senior executive at Thames Water yesterday and plan to meet with them in September to discuss their proposal to put a gateway to the "super sewer" in Furnival Gardens, Hammersmith. It is now clear TW have identified Furnival Gardens as a possible site but told me that they are very keen to work with H&F Council to look at other possible sites in the area and is meeting with Council representatives today. “You will recall that when Labour was in Administration we arranged a meeting with TW and invited Conservative representatives to attend - which they did. Why therefore, is H&F Council now taking a party political approach to this issue, when it is obvious that local people will be better served if H&F Council puts up a united political front in opposing the use of Furnival Gardens as an entry point to the "super sewer"? Having witnessed the Council's dealings around the Hammersmith Grove Armadillo building, this approach leaves me extremely concerned about what deals H&F Council may be doing behind closed doors”. Please email me here if you want to be kept in touch with this matter. My fellow ward councillors and I will raise you concerns or suggestions when we meet with TW in September. Meanwhile, I have used the Freedom of Information Act to request all documents relating to the H&F Conservative Administration's dealings with Thames Water on this matter. I have also asked for the total amount of Section 106 payment that could be given by Thames Water to H&F Council if it grants planning permission for Furnival Gardens to be used as a gateway to the "Super Sewer". Theresa Boyd lives opposite one of the biggest building sites in London. Her home is on Wood Lane on the other side of the road to the soon-to-be-opened Westfield shopping centre. Theresa says that the construction process has made the last few years the most stressful of all during the time she’s lived in Shepherds Bush, which is why she contacted her local Councillor Mercy Umeh (Lab) to tell her about what she and other neighbours have had to endure. Mercy says that people living close to the area have had terrible problems explaining “The construction has generated amazing levels of dirt and noise. The area is continuously dusty, getting into people’s homes, onto their belongings and covering their windows. At one point rats, escaping from a demolition on the site, ran openly down Wood Lane and into the surrounding streets. It’s been pretty miserable for most local residents. I don’t think Westfield has been a good neighbour. I am taking up this matter with them”. Theresa added “Last year Westfield sent us six chocolate truffles which they said was a “gesture”. This year we got nothing so interested to find out what lay behind their thinking I phoned them and asked why. They told me that they’d laid on an ice rink for the public instead. I went down there and it would have cost £5 for my daughter to use it. I really think they have no idea of what they’ve put us through. I thought the least they would do is clean my house. Truffles and ice rinks… It’s nonsense!”. 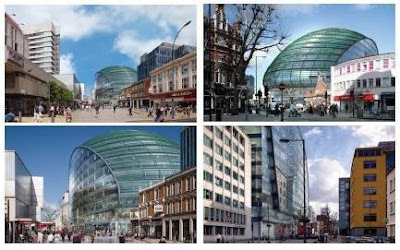 The Westfiled website boasts “Westfield has approximately £25 billion of assets under management in a portfolio of 119 shopping centres across the United Kingdom, United States, Australia and New Zealand with 22,000 retailers and approximately 10 million sq m of retail space”. The Shepherds Bush centre is due to open this October. I hope they can find some way of making it up to residents for all the stress the construction process has caused them. Thames Water says that it is hoping to construct the entry point for a proposed 18 mile-long “super sewer” in Hammersmith and Fulham. Known as the Thames Tunnel, the scheme was originally intended to begin in Chiswick but, following a recent letter to H&F Council officials, Thames Water said that the tunnel is now “likely to start in Hammersmith & Fulham”. Council officials say they fear that Furnival Gardens riverside park could be the target site which would turn the area into a building site for at least eight years. Thames Water says they need the Thames Tunnel to stop storm water and raw sewage flooding into the river. The sewer would take foul water from the 57 points along the Thames where 32 million tonnes of raw sewage a year is pumped into the river. It will combine these overflow outlets into a single 7.2 metre diameter tunnel, which will be up to 80 metres below ground in parts. Thames Water would need to dig an access shaft for the giant tunnel boring machine. This, in addition to six other construction sites, will connect sewer outfalls into the new tunnel. The project would start to be built in 2012 and would be one of the biggest engineering projects ever attempted in the capital. The Section 106 payment to H&F could be massive. I have therefore written to H&F Council to see what, if any, Section 106 money would come their way if these works took place in the borough. I believe that Furnival Gardens is completely inappropriate for such a scheme. H&F Council have to fight this proposal with all the resources at their disposal. I am writing to Thames Water to arrange an urgent meeting but if officials are correct, then my fellow ward councillors and I will publicly campaign against this and expect H&F Council to give us their full backing in opposing it. Please email me here if you want to be kept in touch with this issue and take part in our campaign. I will let you know when we find out more. The BBC is reporting that Shepherds Bush Tube Station need not have closed after it viewed documents obtained under the Freedom of Information Act by Andy Slaughter MP (Lab). The official papers show that London Underground (LU) was advised that Shepherds Bush Central Line Station could remain open while all improvement works were carried out. You may still be able to view the BBC News item by clicking here (it is just over halfway through the programme). Shepherds Bush Tube Station shut its doors in February after LU gave only four weeks notice. 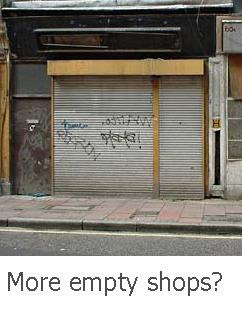 At the time, LU admitted that it was “unprecedented” to shut down a station like this but both they and H&F Council argued that “there was no alternative to closure”. However, Andy Slaughter told me that the papers “contradict what both the Tory-run council and LU said to residents and shopkeepers at the time”. The papers state that “It is Metronet's view that the escalators can be replaced whilst maintaining station operation” and add “Closure is unlikely to be granted due to the weak business case involved”. You can view the documents by clicking here. During the period running up to the closure Andy Slaughter met with LU in an effort to get them to reconsider their plans. Thousands of residents and businesses supported his campaign to keep the station open during the works and Andy won a wide range of concessions. However, LU and H&F Council refused to change their mind about the closure. Bizarrely, Cllr. 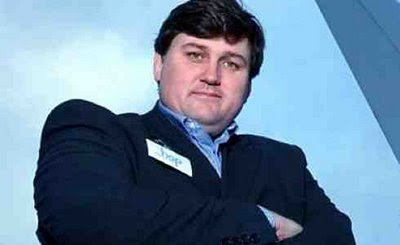 Stephen Greenhalgh (Con), the Leader of H&F Council, picketed a public meeting, arranged by Andy, and handed out leaflets from the Conservative Parliamentary Candidate justifying why the station had to close. During the meeting it became clear that Westfield had offered to project manage the escalator works if they were completed for the grand opening of their new shopping mall in October. The recently released papers confirm this and it is believed that LU and H&F Council prioritised Westfield's request over the needs of local businesses and residents. 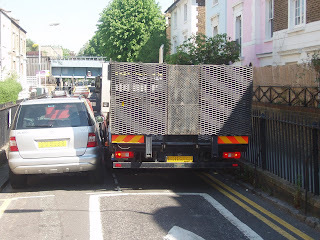 Andy Slaughter added “There is huge anger in Shepherds Bush at the way LU and the Tory Council forced this through. Local shops have lost business and many of my constituents have been unnecessarily messed around - all seemingly to fit with the needs of the new shopping centre". You can read Andy Slaughter's full exposé by clicking here.